AIMEX would like to officially welcome Benetti, a renown Italian shipyard specialising in luxury yachts as the Pre-Dinner Drinks sponsor of the 2019 Australian Marine Industry Awards Gala Dinner that will take place at this year’s Australian Superyacht, Marine Export & Commercial Marine Industry (ASMEX) 2019 Conference in May. The Awards Gala Dinner celebrates industry excellence in the Marine Export, Commercial Marine and Superyacht industries and is therefore the perfect alignment with Benetti. 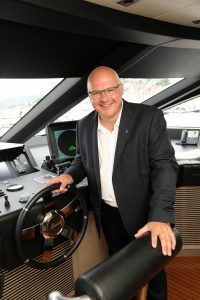 “As a show of our decade-long commitment to sustainability, Benetti is a proud supporter of the 2019 ASMEX Conference where we are excited to see industry leaders come together to focus on environmental and sustainability initiatives that will contribute to the yachting society around the world” said Peter Mahony, General Manager of Benetti Asia. “The success and growth of ASMEX would not have been possible without the support of sponsors like Benetti who will be joined by ASMEX partners, Pantaenius, Sanctuary Cove International Boat Show and Queensland Government who all share a passion for the marine industry in Australia. We are excited to present the ninth ASMEX in 2019 that will bring together topical speakers and challenging debate from key industry players” said David Good, CEO of AIMEX.